Nautilus Beach Apartments are set in scenic Carlisle Bay with a wide coral-sand beach and calm turquoise waters right at your doorstep. The self contained apartments include one bedroom units, studios and superior units. For the convenience of guests, there is wireless Internet access available and a full complement of in-room amenities. 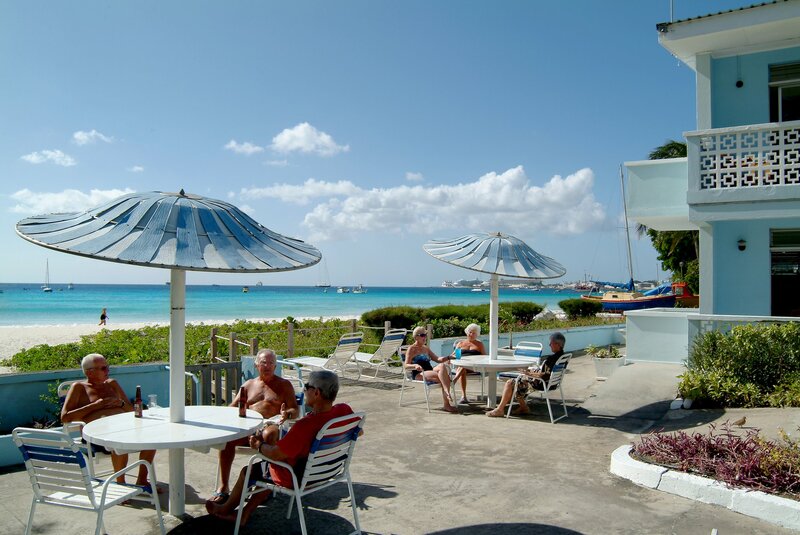 Nautilus Beach Apartments lie at the heart of the Garrison Historic Area, home to the Barbados Museum and George Washington House. This area forms part of a UNESCO World Heritage Site “Historic Bridgetown and its Garrison” where activities such as rum tours, horse racing, diving and snorkeling abound. It’s your home away from home with all the conveniences of home – a kitchen, separate bedrooms, living area and patio. Located on the doorstep of one of the island’s best beaches. You’re guaranteed breath-taking views of the ocean and spectacular sunsets! Ideal for families, retirees, couples and groups of friends! Close to the capital city, the west and south coasts, nightclubs, restaurants, shopping, the Barbados Yacht Club and exciting watersports! Spacious living rooms, well-appointed kitchens, air-conditioned bedrooms with in-room safes!